Silvicultural Inventory Using #Drones / #UAV – quantifying tree stocking and heights. 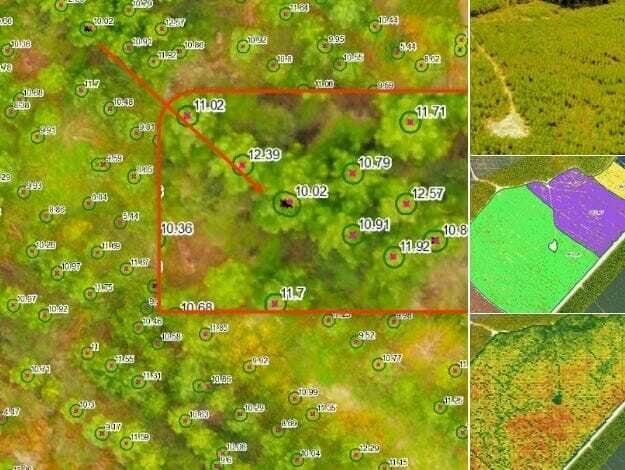 Using drone based imagery and structure from motion photogrammetry, our remote sensing team combine an existing digital terrain model to allows forest managers to complete pre and post thinning silviculture quality assurance. Canopy analysis; including tree peak counts and their respective heights, thus creating total enumeration of the stand being treated.